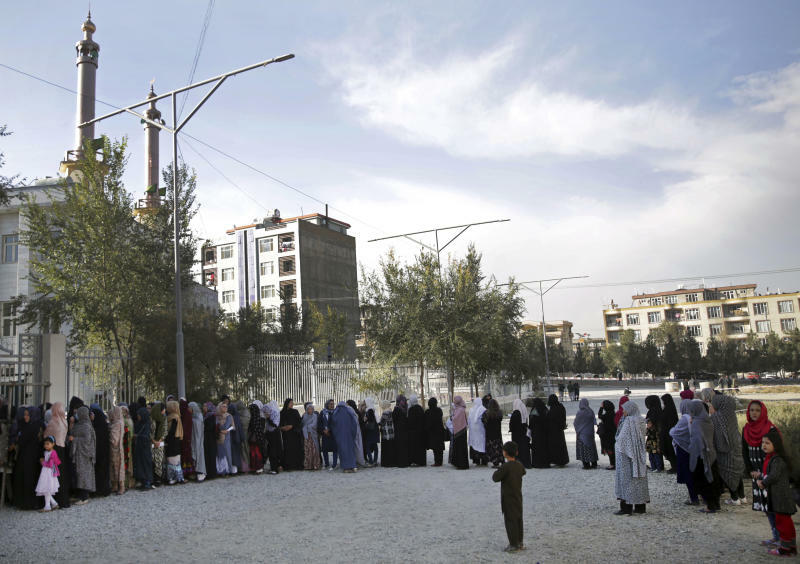 KABUL, Afghanistan (AP) — Afghan authorities have begun counting votes after chaotic parliamentary elections marred by violence, technical glitches and unprecedented delays, the election commission said Monday. Independent Elections Commission Chairman Abdul Badi Sayat said that around 4 million out of 8.8 million registered voters cast their ballots over the past two days at 4,640 polling centers across the country. Voting in the southern Kandahar province was delayed until next Saturday after a Taliban attack last week killed two senior security officials. The Taliban had warned people not to vote, and the Interior Ministry said insurgents launched some 250 attacks across the country during two days of voting, killing at least 50 people and wounding more than a hundred others. The voting was also marred by delays and technical issues related to a new biometric system, which forced many voters to wait in line for hours and authorities to extend the voting into a second day on Sunday. Sayat said a special committee has been established which "will investigate all irregularities," including voter list discrepancies, delays in opening polling centers and problems with the biometric system. Preliminary results will not be released before mid-November and final results will not be out until December. The elections, the first since 2010, came as a resurgent Taliban have seized nearly half the country, with near-daily attacks on security forces. The Taliban view the U.S.-backed government as a dysfunctional Western puppet and have refused repeated offers to negotiate with it. In the eastern Nangarhar province, the military said troops killed seven insurgents in a raid on a village overnight. But Attahullah Khogyani, spokesman for the provincial governor, said local residents brought five bodies that appeared to be civilians to the district headquarters. Gov. Hayatullah Hayat has promised an investigation if it turns out that civilians were killed.